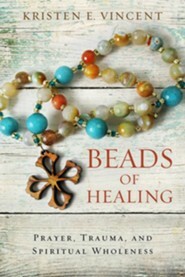 Roman Catholics have a long history of devotion to the 15 mysteries in the rosary, but it's still quite unusual for Protestants to use prayer beads as a form of spiritual exercise. Vincent helps you overcome these reservations and see the advantages, offering this moving 4-week Bible study. 112 pages, softcover. Upper Room. Vincent is at the forefront of introducing Protestants to the ancient practice of praying with beads. 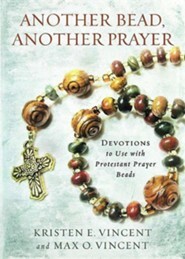 Vincent has an MTS from Duke and creates her own beautiful handcrafted beads through her business, Prayerworks Studio. 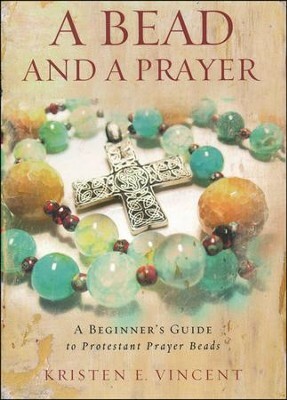 I'm the author/artist and I want to review Bead and a Prayer: A Beginner's Guide to Protestant Prayer Beads.